Everyone welcome! 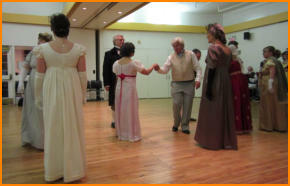 We welcome beginners or experienced dancers of all ages and backgrounds. LGBTQ+ friendly. All dances are taught by a dance caller. 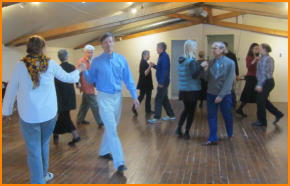 The dances are easy to learn and to dance with walking steps. You do not need to bring a dance partner; we switch partners every dance. Free Admission All of our regular Friday Night dances have Free Admission for everyone. Donations are welcome. 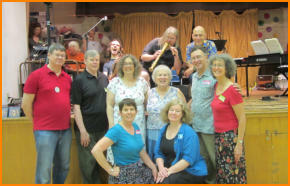 We also organize special dance events with live music and dance costumes at other locations. St Barnabas Anglican Church 175 Hampton Avenue, Toronto (Just west of Chester subway station) http://www.stbarnabas-toronto.com Enter through the children’s play area off Hampton Avenue. Note: This is NOT our primary dance location. This is the location of a particular dance only if it explicitly says “St Barnabas Church” in the listing for that dance. Ralph Thornton Centre Second floor 765 Queen Street East, Toronto (Two blocks east of Broadview Ave) http://www.ralphthornton.org Note: This is the primary location for our Friday night dances. The special dances are held at various locations. The location address is mentioned with each dance. Annual ball on April 19! Details here. Colin Hume dance weekend in June! Details here.